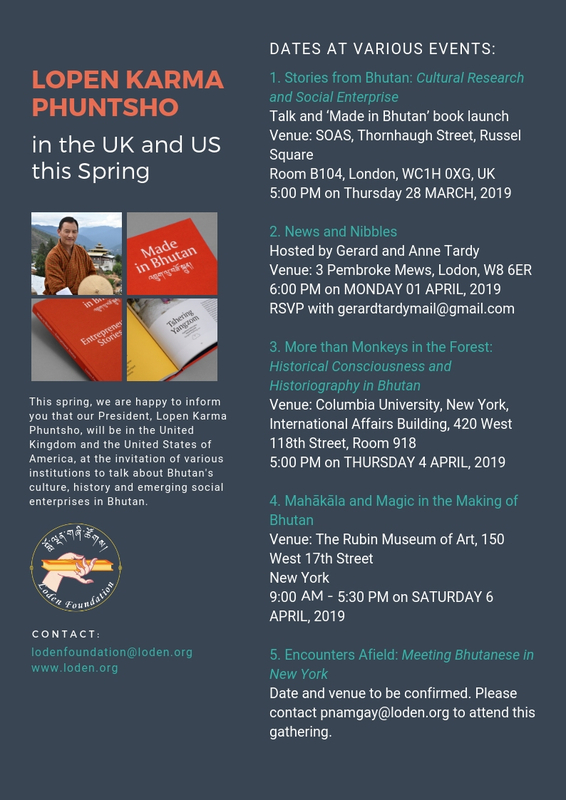 This spring, we are happy to inform you that our President, Lopen Karma Phuntsho, will be in the United Kingdom and the United States of America, at the invitation of various institutions to talk about Bhutan’s culture, history and emerging social enterprises in Bhutan. Date and venue to be confirmed. Please contact pnamgay@loden.org to attend this gathering.